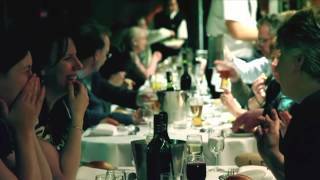 The Captains Dinner Cruise is the signature a la carte dining experience. Cruise on the prestigious MV Sydney 2000 and enjoy quality a la carte dining, a comprehensive wine list, live music and dancing, all set to the spectacular backdrop of Sydney by night. The menu features an expanded food and wine selection, with an impressive selection of Australian wines and imported ales on offer. Expansive windows throughout our vessels offer superb viewing no matter where you are seated, however if you prefer you can guarantee window seating at a small additional charge. Bar packages are also available with a choice of standard or premium wines, or soft drinks for the kids. Infants under four years are free of charge if you bring along a meal from home. Otherwise the full menu selection is available at reduced child prices for under 15 years. A special Children's Menu can also be pre-ordered on request.